Favorite Denim Item: Jeans of course! Carol Morgan, founder and president of Denim Marketing, has built a career on listening to her clients and personalizing plans to fit each client’s needs. Known for being reliable, creative and authentic, she creates big picture marketingstrategy that utilizes public relations, advertising, social media, content, reputation management and creative to send traffic to the client’s website and garner measurable results. . . .
Carol has been attuned to trends in marketing and social media throughout her career, and she is a sought-after speaker. Carol is the author of “Social Media 3.0” and creator of the nationally-ranked and award-winning www.AtlantaRealEstateForum.com, Atlanta’s most popular real estate blog. Launched in 2006, let’s just say Carol saw the benefits of blogging before most people knew what blogging was. She is past Chair of NAHB’s Professional Women in Building, currently serves as NAHB’s Vice Chair of Membership and is a member of the Associates Council. A graduate of Oglethorpe University, she is the recipient of the 2008 Spirit of Oglethorpe Award, PRSA Georgia Chapter’s prestigious George Goodwin Award, the 2009 Greater Atlanta Home Builders Association’s Associate of the Year and 2012 Council Chair of the Year. Carol holds the MIRM (Masters in Residential Marketing), CAPS (Certified Aging in Place Specialist) and CSP (Certified Sales Professional) designations from NAHB. When she isn’t in the office, she can be found in the barn with the horses. Carol rides and competes in dressage with her Trakehner mare Johanna. She is the volunteer communications chair for the American Trakehner Association. Carol also enjoys cooking and gardening. Favorite Denim Item: Gap jeans! Senior Account Manager Courtney Rogers manages a variety of clients, including some of the agency’s largest home builder and developer accounts. Courtney’s expertise includes budgeting, creating and managing advertising plans, and writing quality content to increase client exposure while also improving search engine rankings for client websites. In addition, Courtney is experienced at delivering client-focused solutions tailored to customer needs, and works to influence ROI for clients in all that she does. . . .
Courtney demonstrates her “can do” attitude and comfortable personality daily. Her ability to communicate, present and influence credibly and effectively at all levels of the agency is irreplaceable. 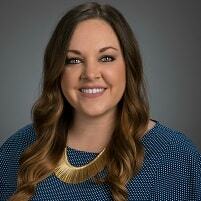 A native of Dallas, Georgia, Courtney holds a bachelor’s degree in public relations from the University of Georgia, as well as a minor in speech communications. Courtney is on the board of the Professional Women in Building – Atlanta chapter and is the Chair of the new Young Professionals Council. She is also a member of the Woodstock Junior Woman’s Club. In her spare time, she enjoys cheering on the Dawgs between the hedges on Saturday’s in the fall, spending summer weekends on Lake Hartwell and visiting her friends that have scattered throughout metro Atlanta since graduating. Currently, Courtney resides in Woodstock with her boyfriend and the sweetest black lab, Ella Bella. Favorite Denim Item: A cropped denim jacket. Account Manager Mandy Holm oversees an assortment of client accounts including several large builders and an interior design company. She also manages the agency’s popular Atlanta Real Estate Forum blog and ensures that it stays up-to-date with the latest news from Atlanta-area builders and others in the industry. Her expertise is providing quality content for effective public relations and social media programs. From blogging to news releases to social media campaigns, Mandy enjoys using creative content to reach target audiences and enhance brand awareness. . . .
She has honed her people-skills and leverages her upbeat nature to earn publicity for her clients. She is a master of bringing people together. 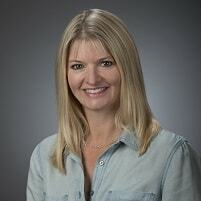 Mandy understands the big picture and often helps create strategies for client promotions. Mandy, a Georgia native, grew up in area 4-H programs. She participated for seven years in the performing arts group Clovers & Company where she sang with popular country musical acts. Mandy also served as a Georgia 4-H Summer Camp Counselor at Rock Eagle 4-H Center in 2010 and Jekyll Island 4-H Center in 2011. In her free time, Mandy enjoys running and participating in local races. July 4, 2017 was her sixth time running in the Peachtree Road Race! She also enjoys spending time with her family, friends and cocker spaniel, Brody. Mandy earned her Bachelor of Science in Communication with a concentration in Public Relations and Leadership Certification from Kennesaw State University. We liked her so much as an intern, we had to hire her full time!